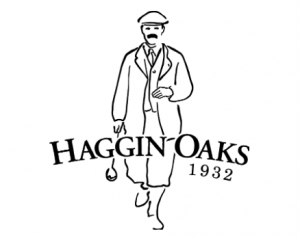 The Haggin Oaks Golf Super Shop (and their online store MortonGolfSales.com) and Callaway Golf have partnered on a fundraising project to benefit victims of the terrible Camp Fire in Northern California from early in November. Fires ripped through the small community of Paradise, California, leaving more than 90% of the community without their homes. The Super Shop team approached Callaway about creating a special Chrome Soft Truvis golf ball to honor the victims and what was developed is a special gold-patterned ball that features a phoenix rising from the ashes in each quadrant along with the words Paradise Strong. $10 of every dozen sold will go to benefit the Red Cross who has done amazing work for the community. Recovery will be a long and challenging journey for the thousands of individuals and families affected. In the weeks and months to come, they’ll be working with various disaster response partners to coordinate ongoing relief efforts and develop longer-term recovery plans. “We have seen the first-hand impact that the Red Cross has had with members of the Paradise community and our hope is that these fundraising efforts will help create some additional resources for the Red Cross to do the amazing work that they do,” says Ken Morton, Jr, VP of Retail & Marketing for Morton Golf & Haggin Oaks. Balls can be purchased HERE. Managed by Morton Golf, the Haggin Oaks Golf Complex is located between Interstate 80 and Business 80 in Sacramento, 3645 Fulton Ave. The 36-hole golf course has a 15,000+ square foot store and its driving range has 100 stalls under lights. The team can be reached at 916-481-GOLF or www.hagginoaks.com for additional information.